Watch how this photo editing software works. They truly make this look so easy to use. This is just a free trial of this program I thought it looked pretty cool though. 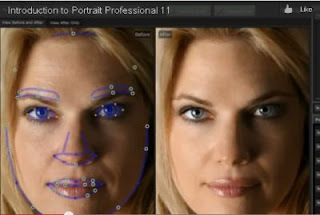 The software is trained in human beauty, so you can add as much photo enhancement as required - simply by moving sliders. Expert photo touch-up can be achieved by unskilled users in minutes.With Portrait Professional, you can enhance faces as much as you want simply by moving sliders.